One person was killed and two more left fighting for their lives Sunday after a shooting at a home on an Oceanside cul-de-sac. It’s unclear what precipitated the shootings, at about 8 p.m. Saturday, and police had made no arrests Sunday. 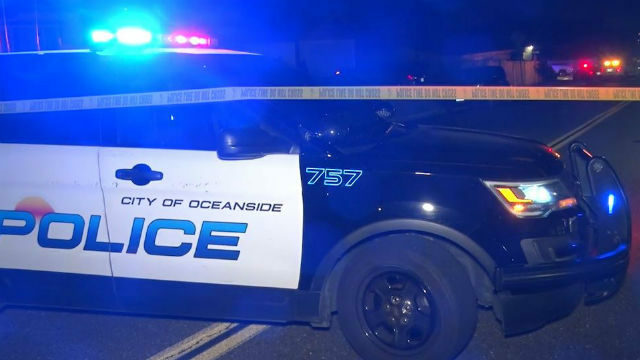 Officers responded to reports of gunfire at a house on Jacqueline Lane, said Oceanside Police Lt. Daniel Sullivan. The home is in the southeastern corner of Oceanside, not far from the Vista city line and north of state Route 78. Upon arrival, several witnesses told officers that multiple people had been shot, Sullivan said. Additional 911 callers told dispatchers the three victims had been taken to a hospital by family members. Police found the three gunshot victims at Tri-City Medical Center. A 29-year-old man with multiple gunshot wounds died of his injuries, according to Sullivan. A 46-year-old man also was shot several times and was in critical condition, and a 26-year-old man received a single gunshot wound and was in serious condition. The three were not immediately identified. Homicide detectives were investigating the shooting early Sunday morning, Sullivan said.